It will be Mangelsdorf’s first opportunity to serve as a college president, a role she says she has aspired to assume. The provost is the university’s chief academic officer, and in the absence of the chancellor, the provost assumes the role of chief executive. Working closely with the deans, the provost guides all academic aspects of life on campus, along with oversight responsibility for diversity initiatives, enrollment management, and faculty and staff development, and recently assumed the additional supervisory responsibility for Cooperative Extension and Public Broadcasting. The Provost’s Office also initiates an array of programs and helps coordinate services for faculty and staff. UW will launch a search for a replacement next semester, with the goal of making a hire by fall, she adds. The University of Rochester is an AAU institution located in upstate New York, with approximately 10,000 students and a broad array of programs, including arts and sciences, engineering, music, medicine and dentistry, nursing, education and business. It has a total university budget of $4 billion and has a significant research portfolio. Mangelsdorf, an internationally known scholar who studies the socio-emotional development of infants and young children, came to UW in 2014 after previously serving as dean of Northwestern University’s Weinberg College of Arts and Sciences and as the Harry E. Preble Dean of the College of Liberal Arts and Sciences at the University of Illinois at Urbana-Champaign. During her time at Madison, she has shepherded multiple initiatives to enhance teaching and learning, faculty services and the student experience. Among them are the revival of the faculty cluster hiring initiative, supporting the utilization of more digital tools for academic planning, supporting the development of the new Office of Strategic Consulting, and enhancing faculty diversification efforts such as the Targets of Opportunity Program. Under her leadership, the Provost’s Office took on supervision/direction of the Chazen Museum of Art. 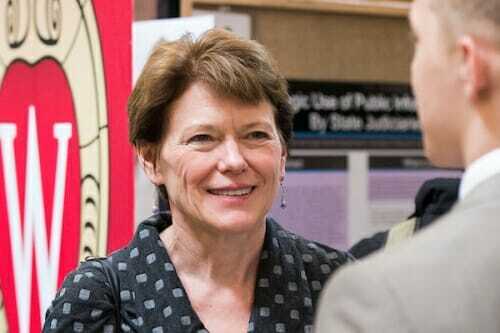 Mangelsdorf has overseen the process of preparation for UW’s upcoming institutional accreditation, and she also is managing the merger of Cooperative Extension and Public Broadcasting back into UW–Madison. In addition, she has overseen the growth in Summer Term enrollments and the other Educational Innovations efforts. Significantly, she helped mitigate the effects of budget cuts and other state changes that threatened faculty retention. “It has been both a challenge and an incredibly rewarding experience to work with my colleagues to ensure the resources necessary to recruit and retain outstanding faculty for this world-class institution,” says Mangelsdorf of her proudest efforts at UW–Madison. Mangelsdorf’s family has a long background in academia. Her grandfather was a plant geneticist at Harvard University, while her father taught physics at Swarthmore College and worked summers at the Woods Hole Oceanographic Institution. She earned a bachelor’s degree in psychology in 1980 from Oberlin College and her doctorate in child psychology in 1988 from the University of Minnesota. Mangelsdorf’s spouse, Karl Rosengren, also a developmental psychologist in the Department of Psychology, will also depart UW to join her in Rochester. 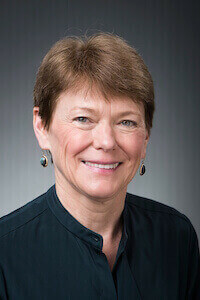 More information about Mangelsdorf and her appointment at Rochester is posted at rochester.edu/presidential-search.